What Are Ergonomic Crochet Hooks? Ergonomic crochet hooks are specifically designed to help people who have hand pain when crocheting. The hooks offer a better grip to crafters so they reduce the pain of associated with yarn crafting. 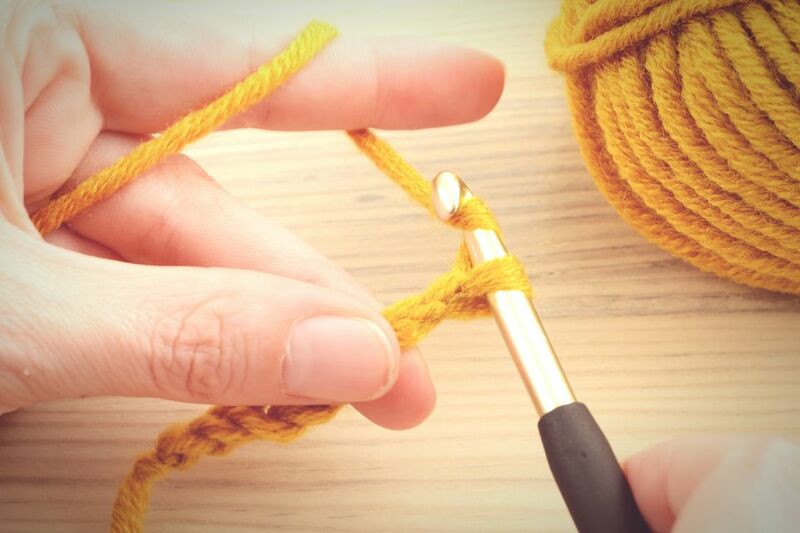 They may be helpful to crocheters who suffer from arthritis, tendonitis, repetitive stress injuries, or similar problems that make crocheting difficult. This information is provided for informational purposes; it is not intended to be medical advice. If you are interested in ergonomic crochet hooks because of a medical condition, discuss the situation with your doctor before crocheting. Your doctor can make suggestions that are personalized to your needs. Ergonomic crochet hooks cannot treat or cure any medical condition; they can, however, increase comfort when crafting and reduce the likelihood of pain. Although not a hand pain solution on their own, they can be one tool in a bigger toolbox of options for crafters with hand issues. Soft Touch crochet hooks are designed with cushy, large handles. They are available in both steel and regular sizes. Clover also makes organizers that are designed to hold these hooks. There are some things that you might not like about these ergonomic crochet hooks. They are expensive compared to most standard aluminum and steel crochet hooks, although they are a good price compared to other ergonomic hooks. Some people mentioned that these hooks are prone to breaking, but can be repaired with glue. The hooks aren't color coded; you have to look at each one to see its size. Like the name suggests, the handle for the Eleggant crochet hook is egg-shaped. This provides something easy to grip onto, which helps a lot with hand pain and also when using crochet as physical therapy. This product is sold as a set of interchangeable hooks along with the handle. That can be a pro or a con depending on what you want in a set of crochet hooks. If you like to work on multiple projects at a time, you'll need to remove the handle from one to use it when switching to another. One definite upside is that these crochet hooks come with a lifetime guarantee. There are several different types of ergonomic crochet hooks offered by the Addi brand. They are a very popular choice when seeking hand-friendly crochet hooks. The Swing hooks are a top choice, offered in a color-coded range of sizes. The handles are wider than a normal hook, but not uncomfortably so, and they are uniquely shaped to work with the motions of crochet to ease the feeling of crafting with them. Sometimes the problem with a crochet hook is just that you can't get a good grip on it. If you don't have a chronic hand problem but do sometimes ache when crocheting for too long, you might just need a more grippable handle on your hooks. DIY options including polymer clay handles and adding a simple pencil grip around your regular hooks. 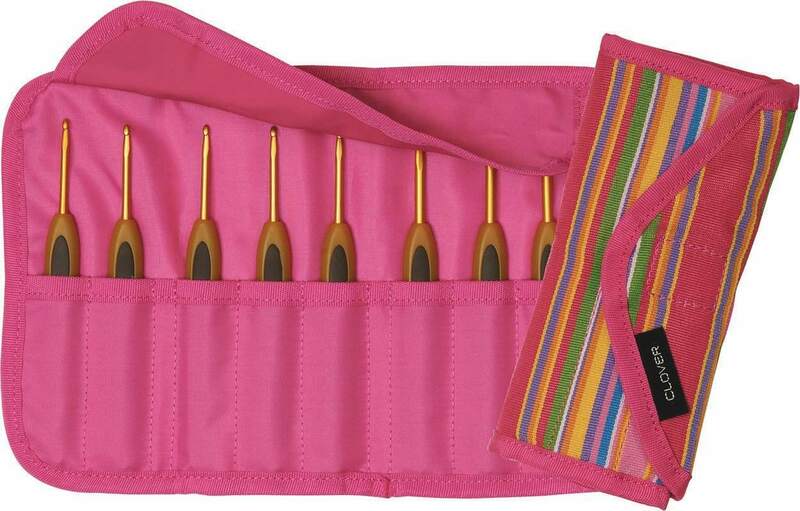 Try different ergonomic crochet hooks to find the ones that are right for you. Everyone is different, after all. Work with larger crochet hooks. Take a lot of breaks when crocheting. During breaks, implement crochet hand exercises. Use worsted or bulky weight yarn. Use fibers that are smooth and easy to manipulate. Rest your hands on a pillow or lavender sachet as you crochet. Having hand pain doesn't mean that you can't crochet anymore. Don't ignore it, either, though; make alterations to craft comfortably for many years to come. What yarn should I use for making crochet potholders? What Should I Do When My Crocheted Blanket Gets Narrow at the Top?